Formal education can’t prepare you for everything. When you decide what classes to take years ahead of time, there’s no way of knowing exactly what your future career will demand of you. Yet, just because you’ve identified a skill you’d like to learn now, doesn’t mean you need to go back to school. The online learning movement has swept the nation and provides free and affordable classes on a myriad of topics to take you to the next level. Many courses and certificates are available at no cost to you other than your time. Of course, we know your time is valuable, but a few hours invested in learning a new skill could have a serious impact on the way you do your job. Classes are broken up into digestible segments, making it easy for you to go at your own pace, repeat things until they click, and come and go as you need. Online learning also tends to be very focused and include interactive and visual components to cater to the needs of different learning styles. Strengthen your marketing strategy and round out your resume at the same time with a free online course. Here are six resources for online courses and marketing certificates that deliver the goods. Udemy offers over 35,000 courses on a wide range of topics. Classes specific to marketing professionals include SEO and social media marketing, but you can also take courses for things like safety and first aid, or photography. 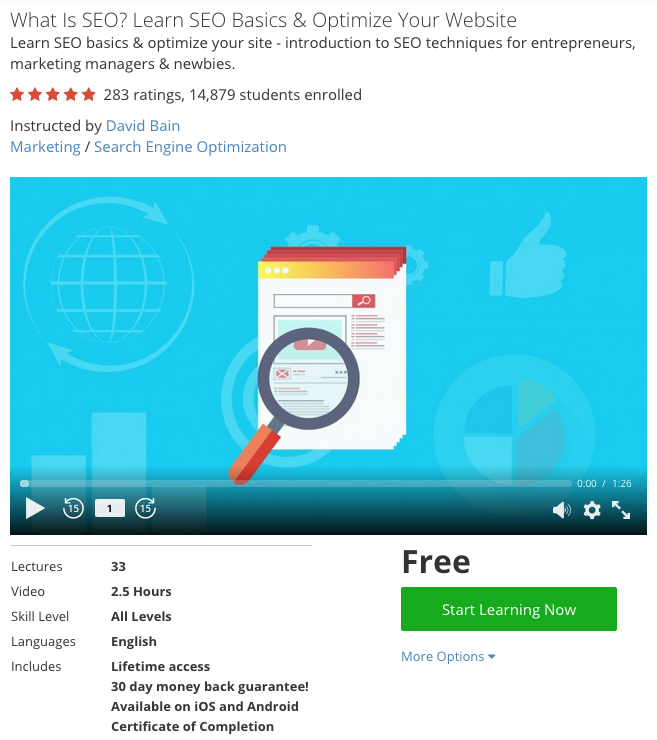 Whatever you’re looking to learn about, it’s safe to say Udemy will not only have a class for you, they’ll also have several free and paid versions. has a 5-star rating and includes an introduction to the topic in 33 short lectures totaling just 2.5 hours. Ranging from, “What is SEO and Why is it Important?” to “How Can You Measure the Effectiveness of SEO?” marketing professionals will learn the ins and outs of content writing, meta descriptions, keyword research, and much more. Learning a new skill, such as how to optimize your website for search engines, is not only an investment in yourself, but also in your organization and its cause. SEO has the power to help your organization reach new audiences. You work hard at your design and content generation, so why not invest time in helping search engines discover your hard work? Courses such as these can help you understand the best practices needed to successfully optimize your pages and expand your reach. Google’s product portfolio has truly modernized the workplace. Their user-focused tools are designed to be intuitive and informative. Google Analytics provides metrics on your online performance so you can make strategic decisions and build your presence. Google Adwords assists marketers in expanding their reach through advertisements and provides transparency around what users are searching for online. Yet, you may not even realize the full capabilities of tools such as these that you use on a regular basis. Unlock the potential of these products and become a certified user of Google Analytics and Google Adwords by signing up for Google Partners. When you sign up for Google Partners you get access to their certification exams and free study materials. For example, to help you get certified as an Adwords professional, you complete courses on search, display, mobile, video, and shopping advertising. Partners also have access to other digital marketing courses as well. Pro tip: Google also has online learning courses catered specifically to nonprofit professionals called Google for Nonprofits. Google is a large part of our online lives. Their free courses and certifications will help you use their products and tools to their full capabilities. Learn how to understand your site’s performance so that you can track your marketing efforts and see which strategies are most effective for you. Constant Contact is an email marketing software dedicated to helping businesses and nonprofit organizations leverage online tools. 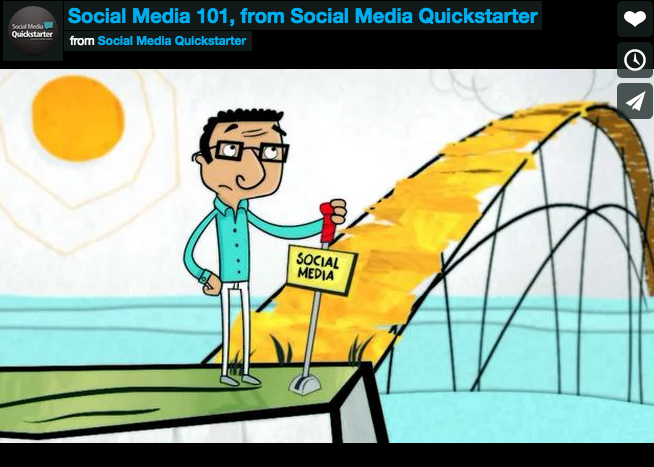 Their social media class called, “Social Media 101: Social Media Quickstarter” has everything you need to strengthen your knowledge of all the major platforms. This aggregation of blog posts offers step-by-step information for what a marketer should know about each channel. Curious about how other organizations use YouTube to connect with their audiences? Wondering if a blog could be an effective tool to tell your nonprofit’s story? Comb through this information to further develop your understanding. The number of channels your organization is expected to have a strong presence on is increasing. While your decision to participate on a channel should be strategic, walking through Constant Contact’s Social Media Quickstarter will strengthen your understanding of each channel and help to determine the best fits for your organization. Don’t have time to read through the posts in one sitting? You can also sign up to get social media tips sent right to your inbox. Copyblogger is an online resource for free information on content marketing. 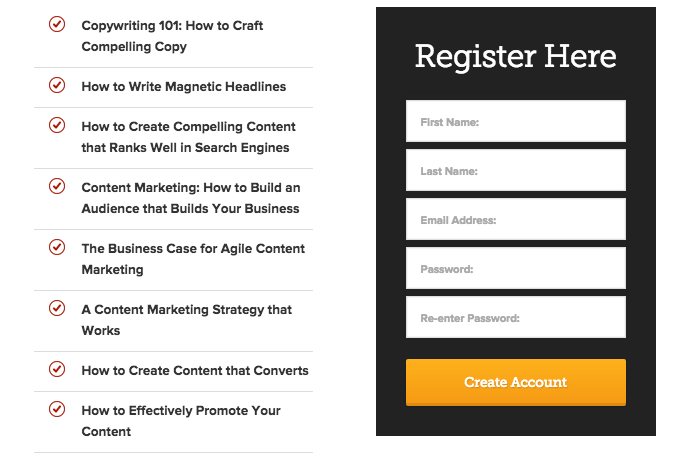 “Copywriting 101,” “Email Marketing,” and “How to Create Content That Converts,” are just a few of the many free resources offered to MyCopyblogger registrants. As a MyCopyblogger member you are also enrolled in the “Internet Marketing for Smart People” course consisting of 20 sections delivered to you via email. A great deal of how you effectively communicate with your audience boils down to the strength of the content you create. Copyblogger’s free assets will help you craft more effective emails, and write in ways that resonate with your recipients and move them to take action. HubSpot has several certification programs for their customers, and one free certification open to the public. Their Inbound Certification is open to all and offers a thorough presentation on the philosophy of inbound marketing. This 12 class course allows you to come and go as you please and covers how to attract more people to your page and convert them into supporters of your cause. This course is geared toward for-profit companies, but contains valuable insights that may be applied to the nonprofit world as well. Topics such as SEO best practices, blogging, and email marketing are all things a successful marketer should understand how to leverage. If you’re interested in growing your organization, this course is for you. After you pass the exam at the end of the course, you’ll receive a certification and a badge to display on your Linkedin account or email signature. This is a personal growth opportunity to indicate your proficiency to your peers, as well as an opportunity for your organization to inform its strategy through your knowledge. 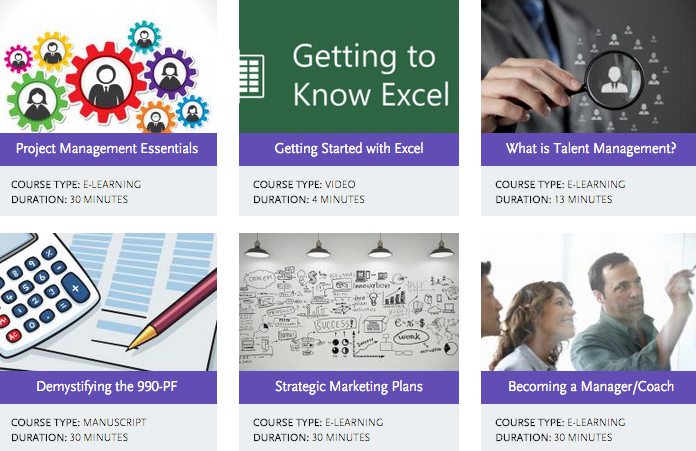 NonprofitReady.org has hundreds of courses specifically catered to nonprofit professionals. Their marketing and communications courses aim to help your organization raise awareness and grow. Their “Strategy Marketing Plans,” course, for example, offers registrants a 30-minute session on how to create your operational plan and goals to stay on task the entire year. With resources specifically catered to your work in the nonprofit sector, these courses will take the extra step for you and connect the lessons to the things you encounter on a daily basis. These courses will also help you stay in touch with current trends in the nonprofit sector and leverage marketing best practices specific to communicating with donors. Enroll in an online course or certificate program to strengthen your skill set as a nonprofit professional and propel your organization to new heights. Personal development goals are a great way to push yourself to continue to grow in your role personally and professionally. As the way your organization communicates with your audience evolves, it can be helpful to stay up to date on the trends. Online learning offers an opportunity to do just that at your own pace. Set yourself a personal development goal, select a course that’s right for you and the larger goals of your organization, and get started today.